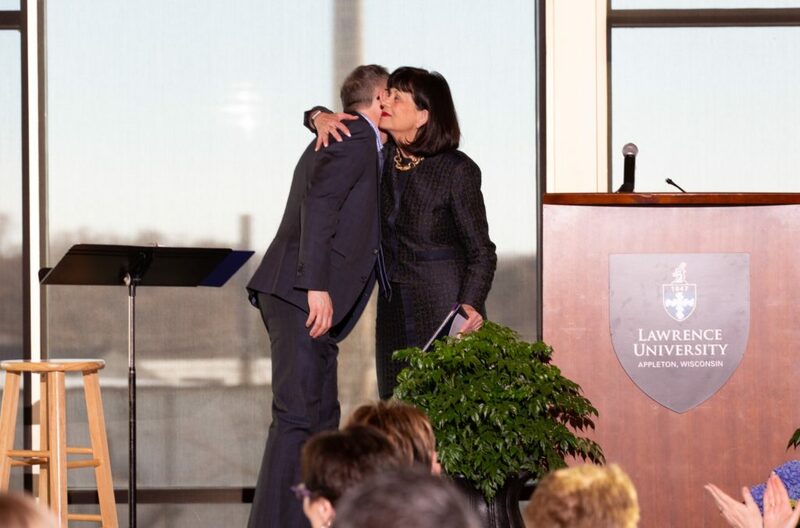 Lawrence University President Mark Burstein hugs Cathie Tierney after conferring an honorary Bachelor of Liberal Studies degree upon her at Tuesday’s Report to the Community. A new economic and community impact study released Tuesday offers new data on just how significant Lawrence University’s ties are to the community it calls home. 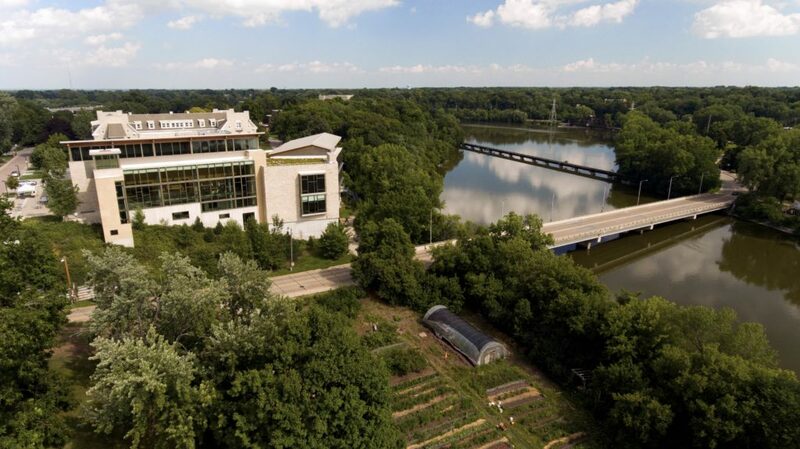 The study from Appleseed, an independent economic consulting firm, shows Lawrence’s annual impact on Appleton and the greater Fox Cities totals nearly $70.3 million — from employee earnings, goods and services, construction projects, off-campus spending and visitor spending. It also highlights how the liberal arts college’s contributions to the community go well beyond economics, highlighting ongoing cultural and charitable relationships. The first-time study, commissioned by Lawrence, details those deep ties between the school and the community. Nearly 200 leaders from Lawrence, area governments, and the business and nonprofit communities gathered on campus Tuesday for Lawrence’s annual Report to the Community, which included the rollout of the study and the granting of an honorary Bachelor of Liberal Studies degree to Cathie Tierney, president and CEO of Community First Credit Union and a longtime community leader. 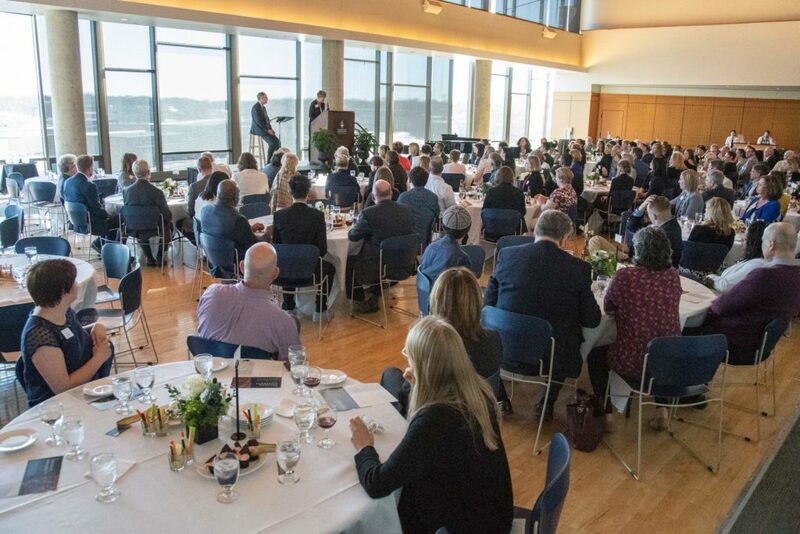 Nearly 200 leaders from Fox Valley government bodies, the business community, nonprofits and Lawrence University attended Tuesday’s Report to the Community in the Somerset Room in the Warch Campus Center. See a copy of the full economic impact report here. The report estimates that in fiscal year 2017, Lawrence, its students and visitors directly and indirectly accounted for 1,059 jobs in the Fox Cities region, with earnings totaling $44.1 million, and nearly $70.3 million in regional economic output. The fortunes of Lawrence and Appleton have forever been intertwined. After all, Lawrence and Appleton have grown up together, Lawrence having been founded in 1847 and Appleton incorporated six years later. The new village — it would become a city in 1857 — was named for the wife of the school’s founder, Amos Lawrence. Her maiden name was Appleton. The new study demonstrates just how significant those ties remain and how important the relationship is going forward. Pastor Mahnie, executive director of B.A.B.E.S., a nonprofit child abuse prevention program, was among the speakers embracing the connections between Lawrence and the community. Lawrence is a host site for the Funding Information Network and provides workshops for area nonprofits to help them pursue needed grants. It’s an important piece of the puzzle that allows nonprofits to do their work. “Your willingness to not only house the Funding Information Network, but to also host free workshops to educate us on how to utilize the database and improve our grant-writing skills is invaluable,” Mahnie said. “Thank you for the access. Access gives us knowledge. Access leads to progress. Access to the Funding Information Network is vital for the work of serving our community. 886 Lawrence graduates live and work in the Fox Cities (5% of area residents with a bachelor’s degree are Lawrence graduates). $1.44 million in financial aid is provided to LU students from the Fox Cities. 605 faculty and staff are directly employed by Lawrence, with a payroll totally nearly $29.9 million. The earnings of faculty and staff employed full-time averaged $58,240 in 2017. $1.4 million was paid to contractors and vendors in the Fox Cities for various construction and renovation projects in 2017. Another $2.2 million went to contractors elsewhere in Wisconsin. Lawrence is a residential liberal arts college with an enrollment of about 1,500. During the 2016-17 academic year, Lawrence provided $36.9 million in financial aid from its own resources. The school’s impact on the community goes far beyond economics, the study says. Faculty, staff and students have ongoing relationships with 100 agencies and organizations in the Fox Cities. Nearly 10,450 hours of community volunteer work was reported in the 2016-17 academic year. Nearly 1,500 children across the Fox Cities participate in the Lawrence Academy of Music, a division of the Conservatory of Music. Lawrence plays a major role in the arts community in the Fox Cities. The Conservatory features upwards of 20 performances throughout the year by internationally recognized artists. Three convocations a year bring in nationally recognized speakers. The Wriston Art Gallery presents about 10 art exhibits a year. All are open to the public. The Warch Campus Center has become a popular location for booking community and corporate events, as well as weddings and other celebrations. Lawrence has worked closely with local leaders in efforts to make Appleton and the Fox Cities a more welcoming and inclusive community for people of all backgrounds. Tierney, meanwhile, was honored for her long and distinguished leadership in the Fox Cities. She studied at Lawrence before embarking on her career. “I’m astonished, delighted and humbled at this amazing honor,” she said. Tierney has been with Community First Credit Union since 1976 and has held multiple executive officer positions, spending much of her career as vice president of marketing and branch operations. In 1993, Tierney graduated from the first CU Executive Leadership Program at the Stanford University Graduate School of Business and was named president/CEO of Community First in 1994. She had attended Lawrence for a year before leaving school for family reasons. Despite the success she would later find in the business world, she said that decision to leave school has always haunted her. But she maintained a strong relationship with Lawrence as she became a community leader. To now get an honorary degree — and to be called a Lawrentian — is humbling and moving, she said. “Through this process I have learned, there is no right path, only your path,” she said. The Sustainable Lawrence University Gardens (SLUG) are part of the Lawrence campus. The SLUG student organization will take part in Earth Day activities between now and Tuesday. Earth Day 2019 arrives on Monday, but Lawrence University students and staff aren’t waiting until then to celebrate the wonders of the Earth and highlight the need for good environmental stewardship. 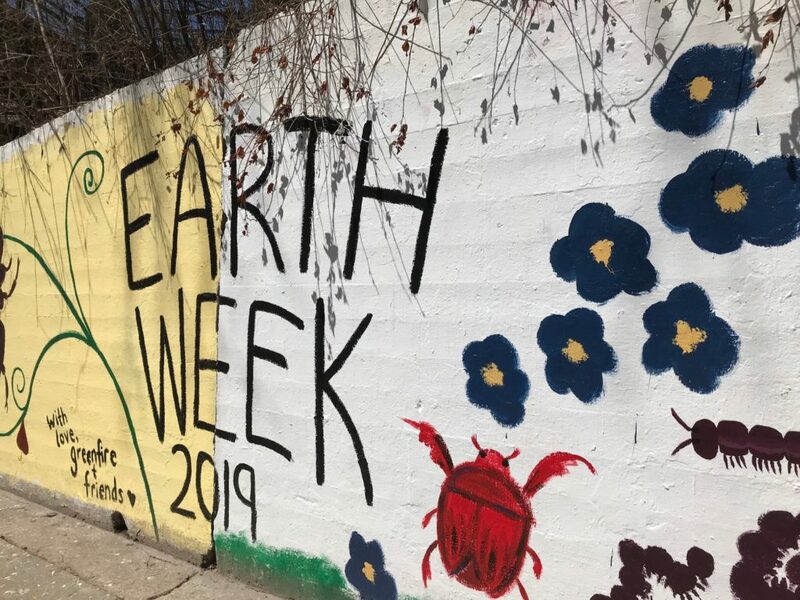 Lawrence student groups focused on environmental causes, along with the school’s Sustainability Steering Committee, will mark Earth Day with a series of events now through Tuesday. Highlighting the Earth Day celebration will be a gala from 1 to 4 p.m. Sunday on Main Hall green, featuring live music, Frisbee games, plant sales and various student-run booths raising money and sharing information on a variety of environmental issues. Then on Tuesday, Equal Justice Works Fellow Jacklyn Bryan will present “Water and Wisconsin Tribal Communities: Past, Present and Future” at 7:30 p.m. in Steitz Hall. A member of the Big Pine Paiute Tribe of Owens Valley in California and a 2017 Vermont Law School graduate, Bryan will discuss her work to assist in statewide collaborations to assess and address outside risks to clean water on tribal lands. Sunday’s gala is being organized by the Lawrence student group Greenfire, in cooperation with other student organizations and the Sustainability Committee. “All of it will have some sort of relation to sustainability, environmental practices and just getting people outside,” said Alyssa Ayen ’19, co-president of Greenfire, a student environmental group with roots dating back to the early 1990s. Like many of those involved, Ayen’s interest in environmental advocacy is personal. The environmental science major from Madison watched as urban sprawl began to erode wetlands in her grandparents’ neighborhood in Verona, her favorite childhood hangout. Earth Week signage is courtesy of Greenfire. “I would spend all of my time outside as a child, playing games, going on hikes and bike rides,” she said. “I enjoyed my childhood so much. But as I got older, I started realizing more and more that Madison, like so many cities, has urban sprawl. There is a ton of development, and I saw it near my grandparents’ house. I think I was probably 13 at the time and I realized it really bothered me a lot. Ayen, who will go to work for the nonprofit advocacy group Impact following graduation, said Greenfire students are focused mostly on environmental justice issues and environmental education. 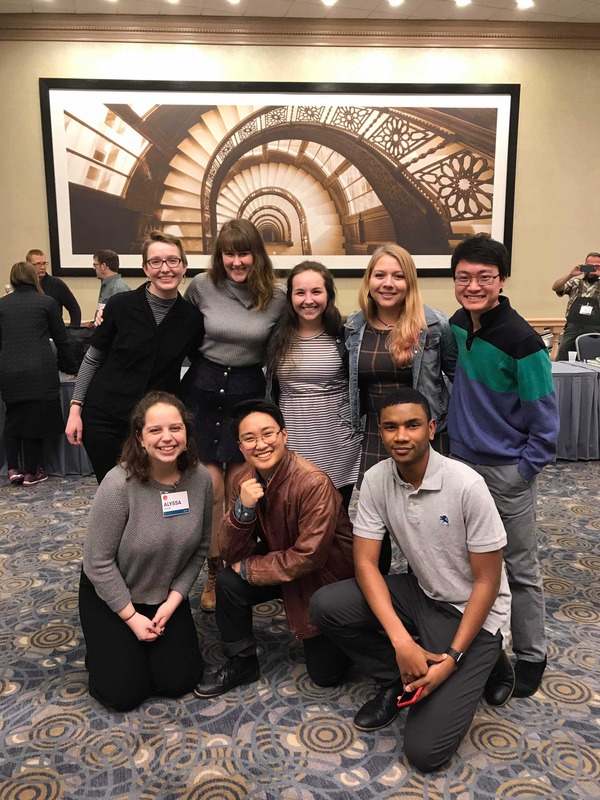 Eight students from Greenfire attended the Wild Things Conference in Chicago earlier this year, taking in a range of sessions on environmental concerns and initiatives, mostly focused on the Midwest. Earth Day provides an opportunity to raise the visibility of some of those efforts here on campus. “The Sustainability Committee really pushed for a bigger Earth Day event, and Greenfire wanted to go that way too,” Ayen said. Kelsey McCormick, a project specialist at Lawrence and co-chair of the Sustainability Steering Committee, said there was a concerted effort to better organize Earth Day activities this year and set a framework for future endeavors. Lawrence University students from Greenfire took part in the Wild Things Conference in Chicago. The committee set out to make sure there was at least one significant activity a day in the lead-up to Earth Day. 7 p.m. Wednesday: Showing of “Awake — A Dream from Standing Rock,” a documentary, in the Warch Campus Center Cinema. 7:30 p.m. Thursday: Sustainability Bingo, hosted by SOUP, in Mead Witter in the Warch Campus Center. 4:30 p.m. Friday: Plant Identification, hosted by the Bird and Nature Club, in Briggs greenhouse. 9 p.m. Friday: Sustainable Menstruation Ball, co-hosted by the Outdoor Recreation Club (ORC) and Sustainable Lawrence University Gardens (SLUG), at Pullmans Restaurant, 619 Olde Oneida St., Appleton. Shuttle pickup from Wriston every 15 minutes from 9 p.m. to midnight. 3-5 p.m. Saturday: DIY Natural Self Care Products, hosted by Greenfire in the loft at Colman Hall. 1-4 p.m. Sunday: Earth Day Gala, Main Hall green. Rain location will be Esch Hurvis in Warch Campus Center. 6:30 p.m. Tuesday: ENSTfest, an Environmental Studies poster session, Steitz atrium. 7:30 p.m. Tuesday: Jacklyn Bryan presentation on “Water and Wisconsin Tribal Communities: Past, Present and Future,” Steitz Hall 102. 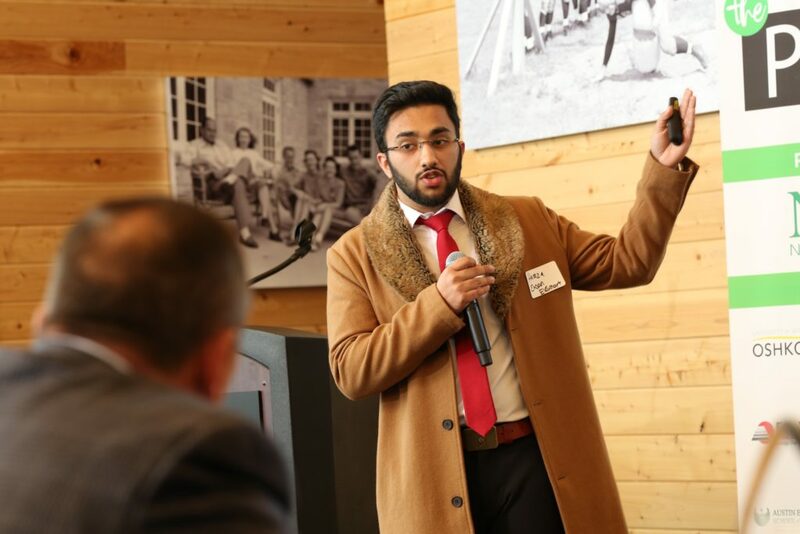 Hamza Ehsan ’20 delivers his pitch for EVSmart at Thursday’s The Pitch at Titletown Tech in Green Bay. Eleven teams of college students came to The Pitch at Titletown Tech in Green Bay on Thursday with entrepreneurial dreams. Three, including one from Lawrence University, walked away with cash and a pledge of in-kind services to help launch those dreams. Students from the University of Wisconsin-Oshkosh, Lawrence University and St. Norbert College took the winning slots in the third annual “Shark Tank”-type competition. Other schools represented at The Pitch included the University of Wisconsin-Green Bay, Fox Valley Technical College and Moraine Park Technical College. This marked the third straight year Lawrence had a team finish among the prize winners. In the previous two years, Lawrence students took first place. Hamza Ehsan ’20, a computer science student from Lawrence, took second place, walking away with $7,500 in cash, plus in-kind services. His pitch before a panel of judges and an audience of mostly business executives was for EVSmart, an app that would be a resource for drivers of electric cars, creating a network of shared charging stations. Ehsan said his electric car initiative is going to happen, hopefully by fall. He and two partners are hoping to raise at least $35,000 by September. The $7,500 from The Pitch will help, as will monies coming from similar competitions at the Massachusetts Institute of Technology and the University of Massachusetts. Among other things, EVSmart would foster a community of electric car users who would market their charging stations similar to how living spaces are marketed via Airbnb. “This is definitely happening,” Ehsan said of the planned business launch. This was the third year of The Pitch, a collaborative effort organized by the participating schools and supported in part through an array of business sponsorships. Each of the schools held their own competitions to determine who would compete in The Pitch. Five of the schools sent two teams, while Moraine Park entered just one. Besides the panel of judges, the students were pitching in front of a live audience, mostly regional business executives on hand to scout both business ideas and talent. That’s a win for the students and a win for local businesses. Katie Kitzinger ’20, left, and Emma Liu ’19 present Jetsetter’s Closet on Thursday to a panel of judges and an audience at the third-annual The Pitch, held at Titletown Tech in Green Bay. Lawrence’s second team at The Pitch featured Emma Liu ’19, studying ethics and public policy, and Katie Kitzinger ’20, studying chemistry. They pitched Jetsetter’s Closet, a company that would rent fashionable, brand name clothing to female travelers. It would begin in Paris and possibly expand to other destination cities. Liu said the idea stemmed from her frustration with having to lug around so many bags when traveling internationally. With Jetsetter’s Closet, a fashion-conscious client would arrive at her hotel with a week’s worth of stylish clothes already there. “We wanted to find a very niche market where we could get started,” she said of the decision to focus on women in Paris. They didn’t win, but the experience of The Pitch was invaluable, Liu and Kitzinger said. Daniel Salazar, a sophomore business management student from UW-Oshkosh, took first place and a prize of $10,000 in cash and $15,000 of in-kind services. His pitch was for a product called Pack-It, a small circular package holding plastic bags for disposing of dirty diapers or a dog’s messes. The package is designed to be small enough to be carried in a purse, backpack or coat pocket. Salazar, who is from Appleton, said he joined a couple of partners who already have a patent and are preparing to launch a business. Third place went to Breena Hansen, a business administration student from St. Norbert. Her pitch was for Clean Comfort Food Delivery, a business that would prepare and deliver healthy meals to clients. She won $5,000, plus in-kind services. 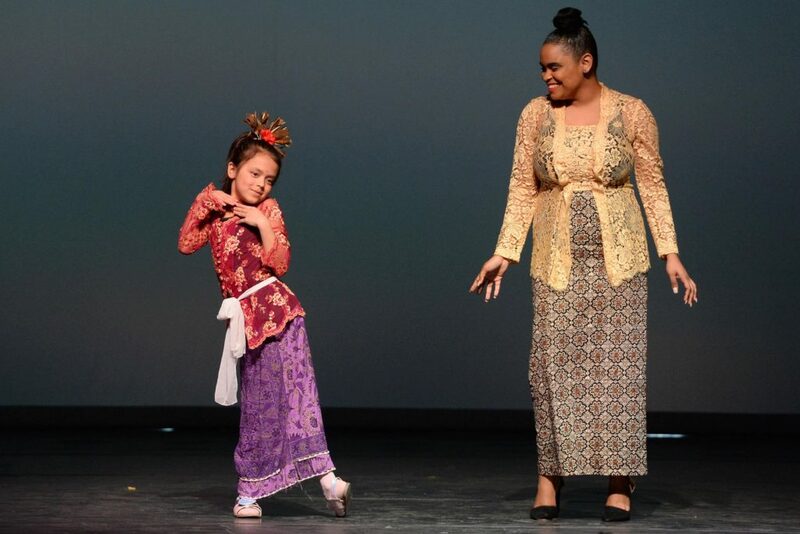 Dynamic dancing, singing and fashions were on display over the weekend as the 43rd annual Cabaret took visitors to Stansbury Theatre on a journey around the world. Cabaret, presented by Lawrence International, is a highlight of spring term on the Lawrence University campus. This year’s theme was Odyssey of Cultures. 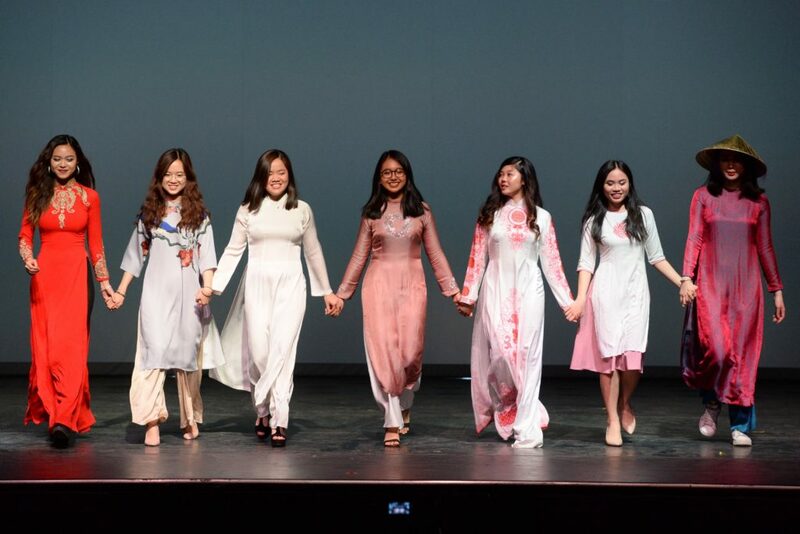 More than 80 international students took part, showcasing elements of their history and culture in two performances. Below is a sampling of photos from the big weekend. You can find a larger photo gallery here. A team from Lawrence University won The Pitch in 2018 for the second straight year. There is an entrepreneurial spirit at Lawrence University, weaved into the liberal arts education in everything from science programs to music instruction. 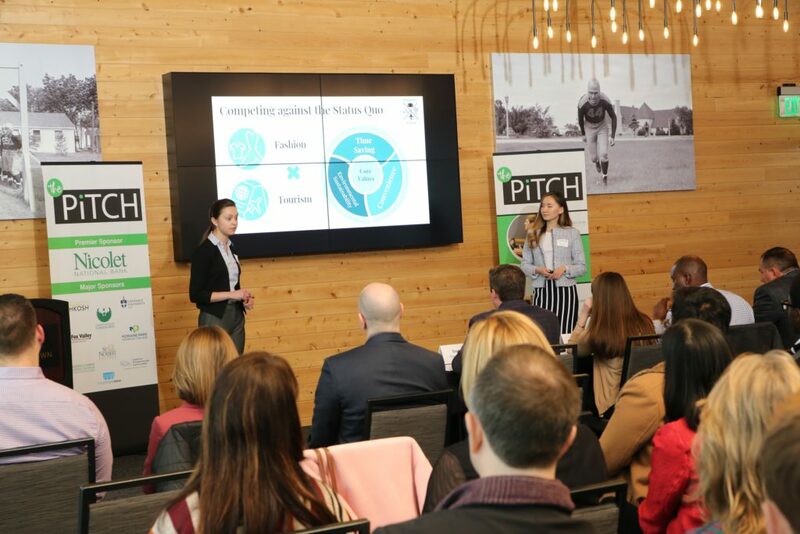 So, perhaps it should come as no surprise that Lawrence students have come away with the title — and the money — in each of the first two installments of The Pitch, a “Shark Tank”-styled competition involving colleges and universities in east-central Wisconsin. On Thursday, Lawrence will aim for a three-peat. Students from six schools will deliver their pitches for innovative product ideas to a panel of judges — and in front of a live audience — at 4 p.m. at Titletown Tech in Green Bay. Joining Lawrence students will be entrants from the University of Wisconsin-Oshkosh, the University of Wisconsin-Green Bay, St. Norbert College, Fox Valley Technical College and Moraine Park Technical College. Each school will have two entries. For Lawrence, Hamza Ehsan ’20 will pitch EVSmart while Emma Liu ’19 and Katie Kitzinger ’20 will pitch Jetsetter’s Closet. EVSmart involves the creation of an app that would identify and facilitate the use of charging stations for electric cars. Jetsetter’s Closet would facilitate the rental of stylish clothing for world travelers. They emerged as Lawrence finalists following a round of competition on campus. Similar competitions were held at each of the participating schools. The students who advanced will work with a judge in the lead-up to Thursday’s regional competition to better hone their presentations. Lawrence students have come out on top each of the past two years. First it was a trio of 2017 graduates, Ryan Eardley, Felix Henriksson and Mattias Soederqvist, who successfully pitched their idea for Tracr, a forensic accounting software product. 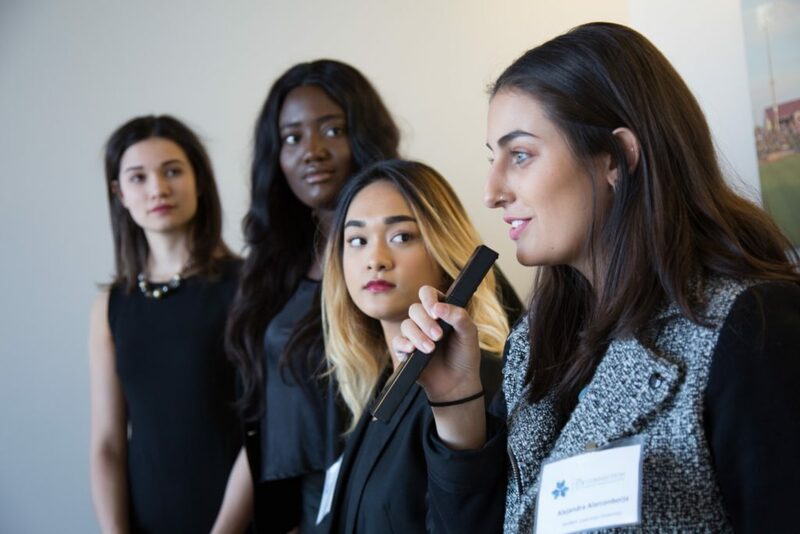 Then last year, Ayomide Akinyosoye, Alejandra Alarcon, Nikki Payne and Alfiza Urmanova took top honors with their idea for WellBell, an innovative wristband device with an S.O.S. button that can be used to send notifications for help, be it an assault or other point of danger or a medical crisis. The WellBell students, all LU seniors now, are actively developing their product and working with mentors, while the Tracr project is on hold but could be reactivated in the future, said Gary Vaughan, coordinator of Lawrence’s Innovation and Entrepreneurship program and a lecturer of economics. The finalists behind Tracr have graduated and now have jobs in finance around the globe — Eardley was hired as director of innovation at Nicolet Bank, a primary sponsor of The Pitch, while Henriksson is working as an analyst with the international markets arm of a bank and Soederqvist is in management consulting. This year’s contestants will be competing for more than $50,000 in cash and in-kind services — with first place receiving $10,000 cash and $15,000 worth of in-kind services, second place getting $7,500 cash plus in-kind services and third place earning $5,000 cash plus in-kind services. The panel of judges come from the business community across the region. Lawrence’s deep and successful dive into The Pitch competition comes in large part because of the investment the university has made in its Innovation and Entrepreneurship program. While Lawrence doesn’t have a business school, it does provide an I&E concentration, which spans all disciplines and can be an important piece of any student’s transcript. In addition to a myriad of class offerings, Lawrence has a student club — LUCIE (Lawrence University Club of Innovation and Entrepreneurship) — that fosters the innovation mentality. And students across multiple disciplines get hands-on entrepreneurial experience with such community projects as Startup Theater, the Rabbit Gallery, Entrepreneurial Musician and KidsGive. She and other faculty members across the disciplines work closely with Vaughan to facilitate that entrepreneurial mindset as students make their way toward graduation and the job market. While the I&E program has shown its mettle on a daily basis in recent years, the school’s early success in The Pitch has put an exclamation point on that, Vaughan said. “We pitch against MBA students, and we’ve done really, really well,” he said. Developing skills in The Pitch isn’t just about launching a new product idea. It’s also about learning how to present yourself when you jump into the job market for the first time after graduation. “That is its own pitch,” Vaughan said. 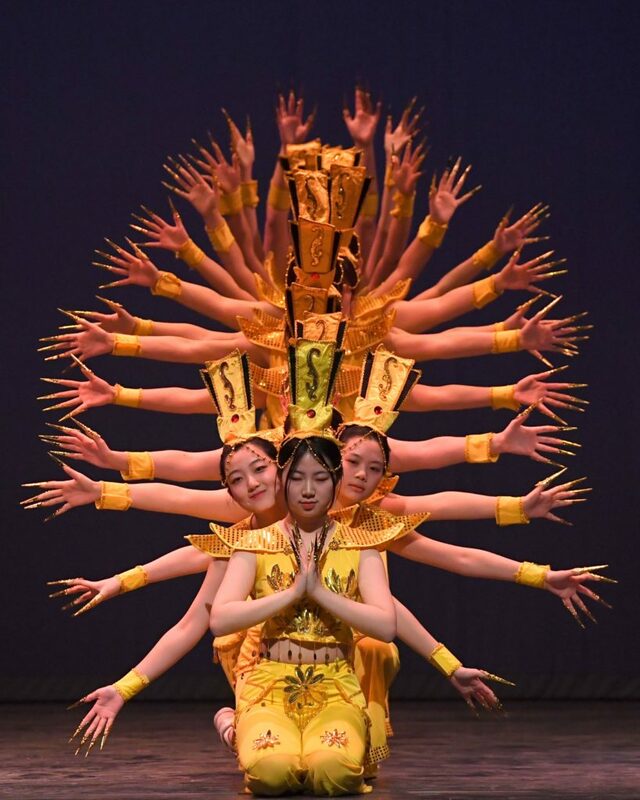 A performance of Thousand-hand Guan Yin at 2018 Cabaret. Cabaret, one of Lawrence University’s most cherished traditions, will take visitors on a journey of discovery this weekend. 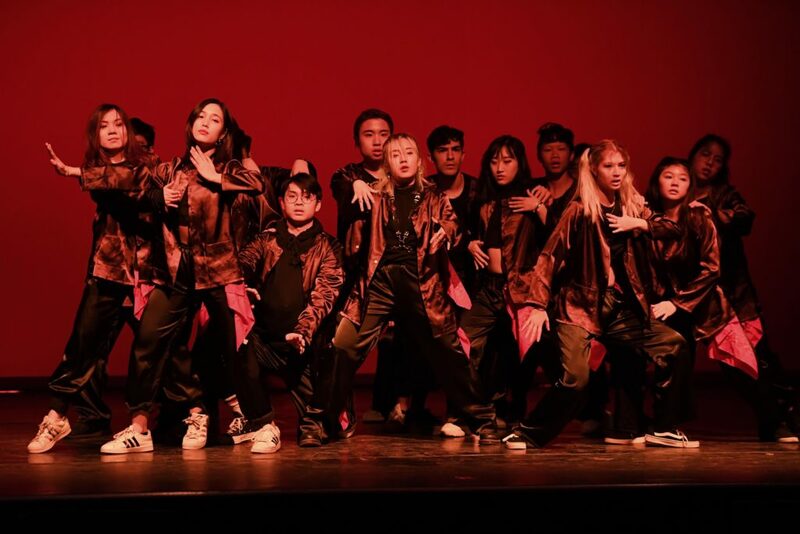 With the theme Odyssey of Cultures, the 43rd annual celebration presented by Lawrence International will feature music, dance and fashion from places near and far, embracing our differences and joyously holding up our diversity as a point of light. 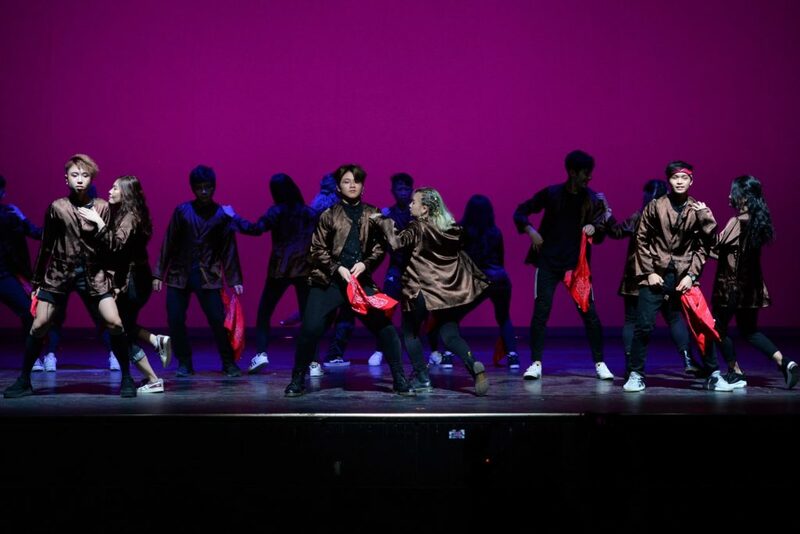 It’s a chance to not only soak in some beautiful performances on the Stansbury Theatre stage but also to learn a little something along the way, said Yidi Zhang ’20, president of Lawrence International (LI), the student organization that presents the annual extravaganza. To that end, posters will be displayed outside of Stansbury providing background on the songs being sung, the dances being performed and the fashions being displayed. Cabaret will include 11 performance groups featuring 80 international students from Lawrence. 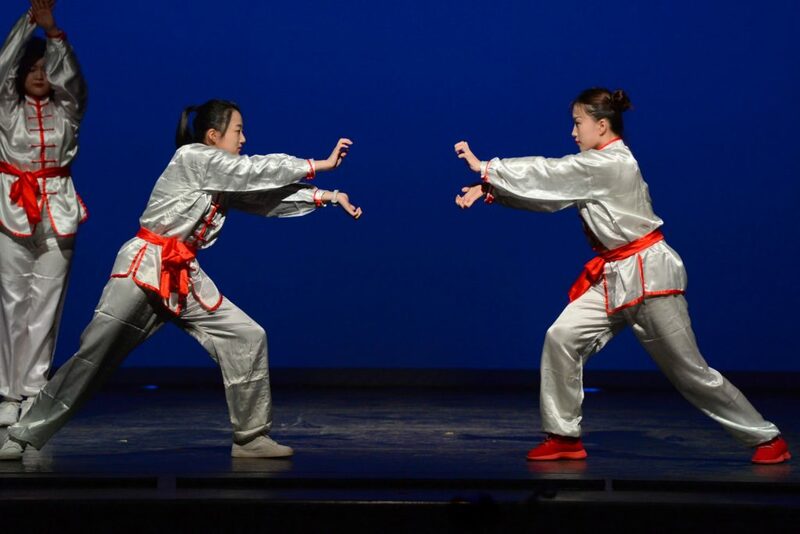 A performance of Tong Que Fu at 2018 Cabaret. 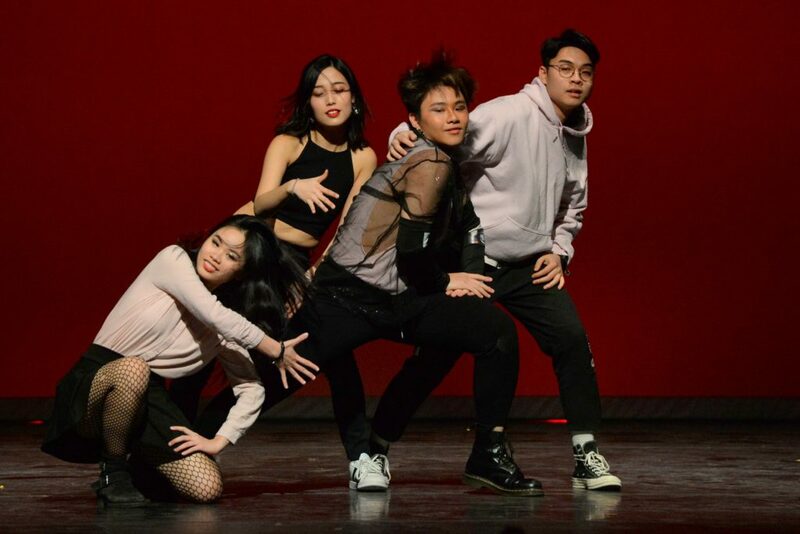 For Zhang, a junior from China majoring in music management, the educational component that comes with Cabaret is valuable on multiple levels. Taking an interest in and understanding other cultures is an important part of being an informed, enlightened, educated citizen of the world. “Cabaret is only a starting point to encourage people to know the cultures, to get to know the people of other cultures,” Zhang said. That goes for audience members coming to watch Cabaret as well as those participating in the production. 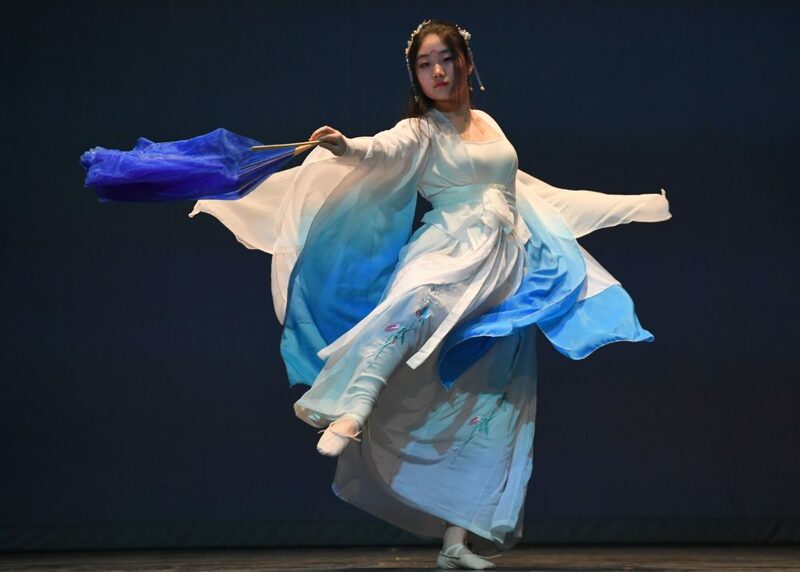 “We have more international students on campus now, so it’s not only for the international students to show what they have, it’s also for those international students to learn from each other,” Zhang said. The number of international students at Lawrence — foreign nationals and those with dual citizenship — has jumped from about 50 a decade ago to more than 270 today. They come from 63 countries. Lawrence International gives those students a chance to connect with other international students both academically and socially. 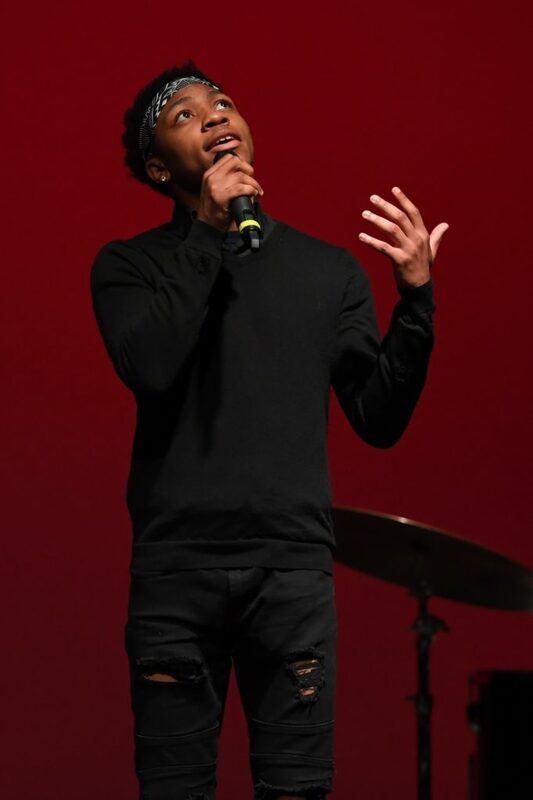 While the annual Cabaret performance is the group’s most visible activity, it’s far from its only benefit, said Leah McSorely, associate dean of students for International Student Services. Zhang will be part of the entertainment lineup. 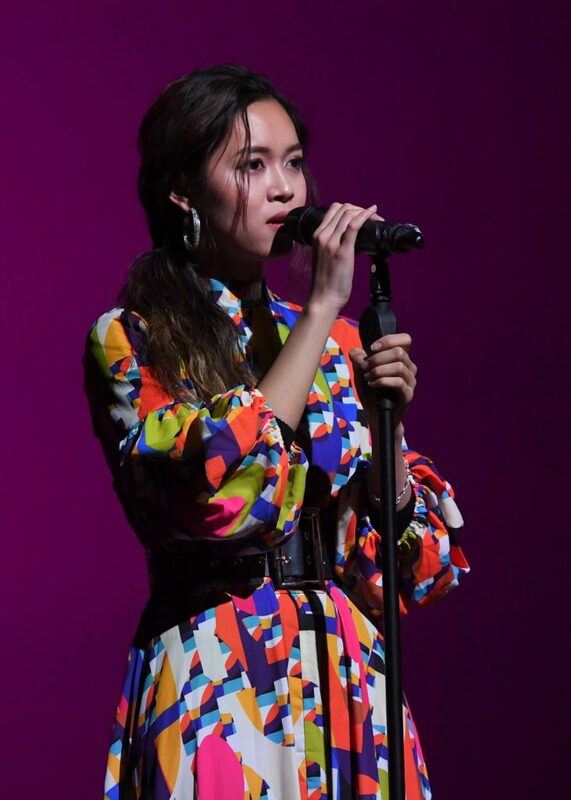 She’s a singer-songwriter who has rounded up three other music students to perform a song that has deep roots in Chinese culture. She’s a big believer in music’s ability to bring people together. Tickets: $10 for adults, $5 for students and free for children under 4. For Lawrence students, the $5 will be donated to the LI Grant fund or, if requested, refunded. Tickets are available at the LU box office at 920-832-6749 or www.lawrence.edu/conservatory/box_office. For more information, contact li@lawrence.edu. Brigetta Miller calls it a historic moment for Lawrence University, a big step forward in the understanding of Native communities and the need to embrace and value the knowledge, history and contributions of indigenous people. 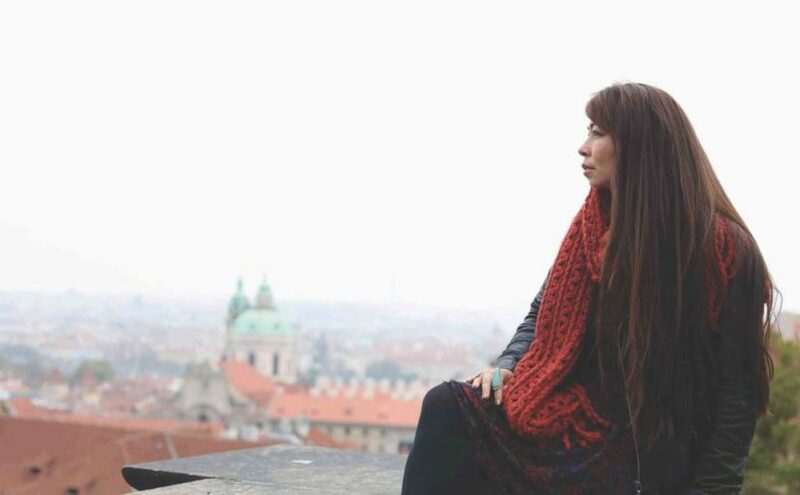 When Matika Wilbur, creator and director of Project 562, arrives on campus on Friday, April 5 for a week-long artist-in-residency — including the creation of a contemporary mural celebrating area tribal communities — and an April 11 convocation address at Memorial Chapel, it will be significant. Significant for Native students and alumni. Significant for the 11 federally recognized tribes in Wisconsin. And significant for the university. “I see this spring convocation as history unfolding before our eyes since it’s the first Native American woman who has been chosen as a university convocation speaker since the opening of the institution in 1847,” said Miller, an associate professor of music in the Lawrence Conservatory of Music and a member of the Stockbridge-Munsee (Mohican) Nation. Wilbur, a visual storyteller from the Swinomish and Tulalip peoples of coastal Washington, has been traveling the country as part of Project 562, using photography and art installations to connect with tribal communities and help redirect the narrative of their history, their present and their future. The 562 is a reference to the number of federally recognized tribes in the United States at the time the project launched in 2012. Wilbur sold most of her belongings, loaded her cameras into an RV and set out to document lives in tribal communities across all 50 states. Connecting to college campuses along the way has been a big part of her journey. That’s music to the ears of Miller, a 1989 Lawrence graduate who teaches ethnic studies courses in Native identity, history, and culture and works with Native American students on campus as a faculty advisor to the LUNA (Lawrence University Native Americans) student organization. This community — on campus and beyond — needs to know that Native culture is alive, vibrant, intelligent, resilient, and moving forward, she said. “I learned of her work a few years ago,” Miller said of Wilbur. “I saw her mission. I’ve been an educator for many years, and when I saw the beauty of what she was doing, substituting the historical distortions and fixed images of the past for the truth about our people, raising visibility for the historic erasure that has happened, sharing the many parts of our culture that often don’t make it into the history books, that inspired me. Wilbur recently teamed with Adrienne Keene, a member of the Cherokee Nation, to launch a new podcast, All My Relations, now live on iTunes, Spotify and Googleplay. It’s an extension of Project 562 in many ways, aimed at exploring relationships and issues important to Native people. At Lawrence, in the week leading up to the convocation address, Wilbur will work closely with Native students and allies to bring the outdoor mural to fruition. They’ll start with a workshop on photography and the important role of art in social justice, focused on how they can document the lives of indigenous people ethically and respectfully. A group of students will then join Wilbur on visits to nearby reservation lands, where they’ll meet with tribal members, take photos, and participate in a seasonal longhouse ceremony. They’ll use the photos in the creation of a collage that will form the core of a mural to be installed using wheat paste on the outside north wall of the Buchanan Kiewit Wellness Center. The mural, a non-permanent installation expected to remain visible for two to five years, will be unveiled following the 11:10 a.m. convocation on April 11. 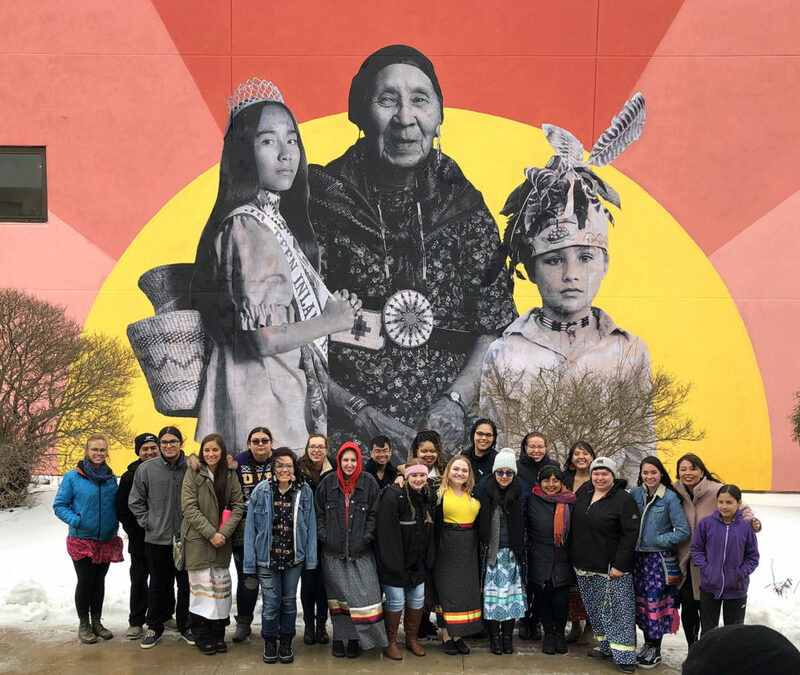 In her convocation address, Wilbur will discuss Project 562 and takeaways from her interactions with Lawrence students, the visits to area tribal lands and the creation of the mural. 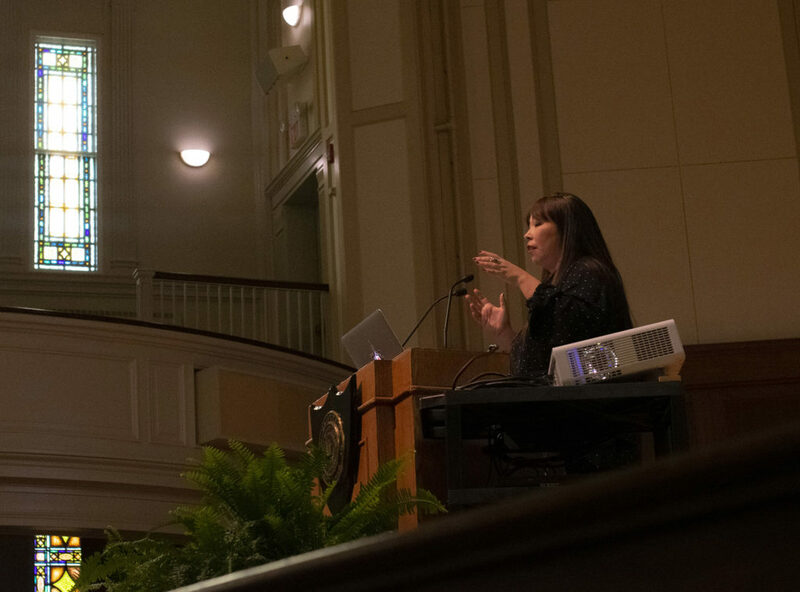 Beth Zinsli, an assistant professor of art history who chaired this year’s Public Events Committee, said the invitation to Wilbur is part of a rethinking of convocation. The convocation will include a traditional Menominee flutist and an Oneida drum/dance group. There also will be an opening invocation spoken in the Menominee language by Dennis Kenote, chairman of the Menominee Nation Language and Culture Commission. That, too, is hopeful, a reflection of understanding and acceptance that hasn’t always been felt by Native communities on college campuses, Miller said. “I hope this entire experience opens up the door to further meaningful conversations between cultures,” Miller said. “And I hope it attracts more Native students, faculty, and staff to our campus. I hope it raises visibility about the importance of the deeper cultural knowledge that indigenous people inherently bring to a college campus. When: 11:10 a.m. April 11; unveiling of mural on campus to follow. 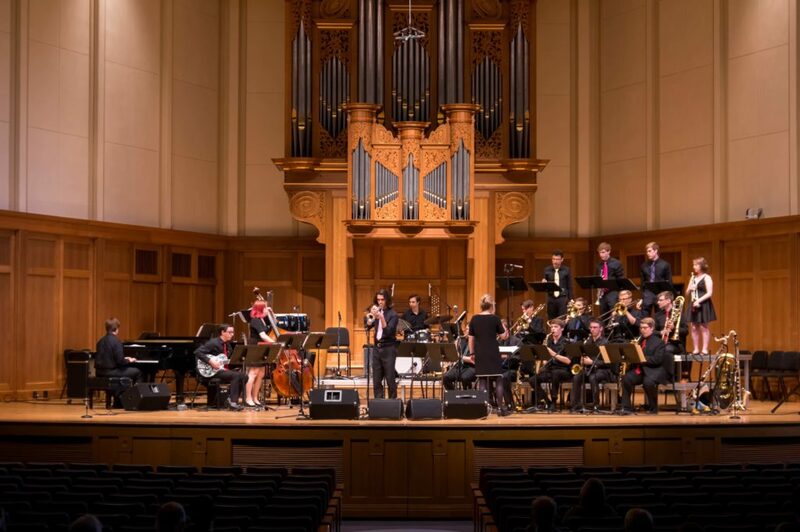 From a legendary guitarist who has delivered transformative performances for decades to a rising trumpet virtuoso who is already hailed as one of her generation’s best, the lineup for Lawrence University’s 2019-20 Performing Arts Series is stacked with impressive talent. The lineup was announced Monday, with season tickets immediately going on sale for the Artist Series, the Jazz Series or a compilation of four shows from either of the series. Single show tickets will go on sale Sept. 17. All performances will be in the Lawrence Memorial Chapel. For more information, call the Lawrence Box Office at 920-832-6749 or email boxoffice@lawrence.edu. 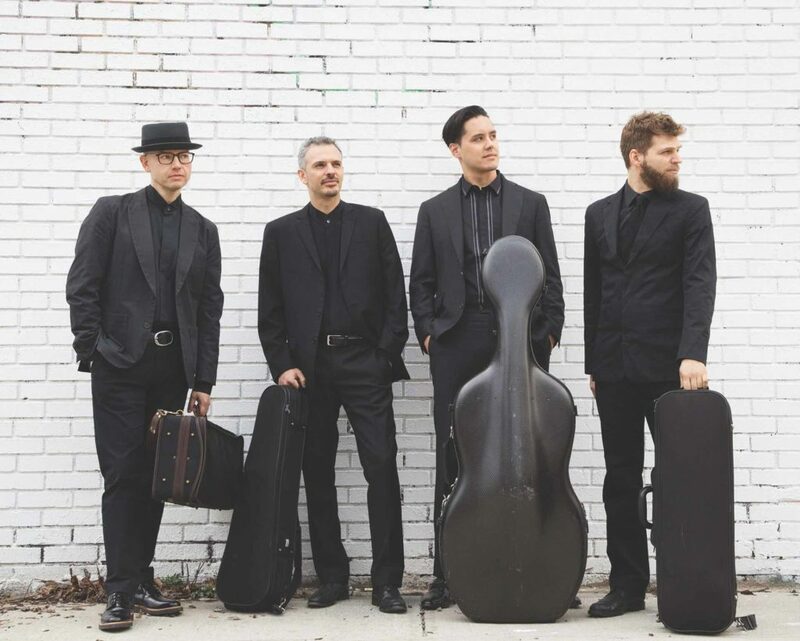 Brooklyn Rider, 8 p.m. Friday, Oct. 4, 2019: With a focus on healing, this string quartet has been drawing rave reviews from classical, world and rock circles. They’ll be performing their new project, Healing Modes, a nod to the healing properties of music. It’s a return visit to Lawrence for the talented foursome. Tine Thing Helseth, 8 p.m. Friday, Feb. 28, 2020: The Norwegian trumpet virtuoso has quickly risen in stature, her intensity and enthusiasm garnering her rock star status. 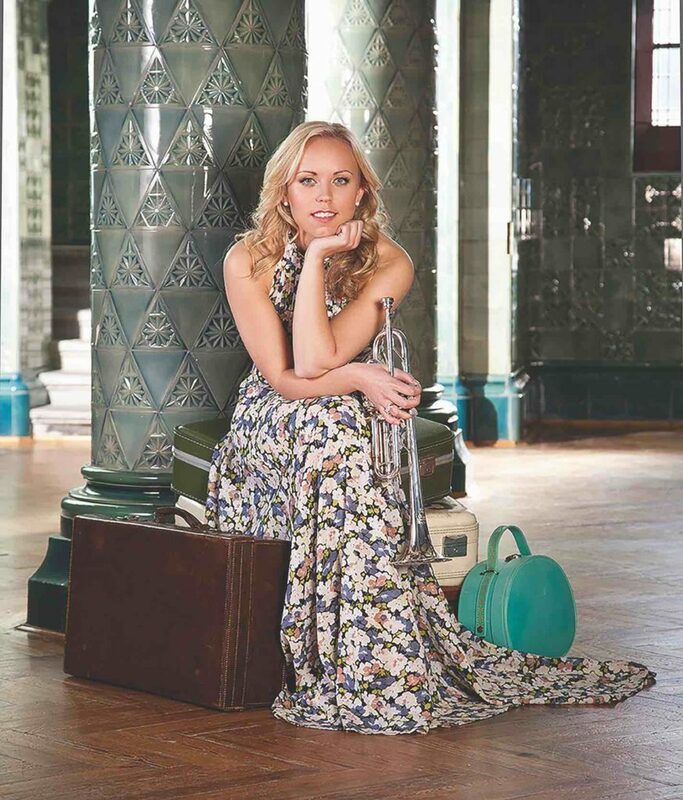 She has been hailed as one of today’s foremost trumpet soloists, at ease playing Bach and Haydn but also incorporating arrangements from the likes of Puccini and the Beach Boys. 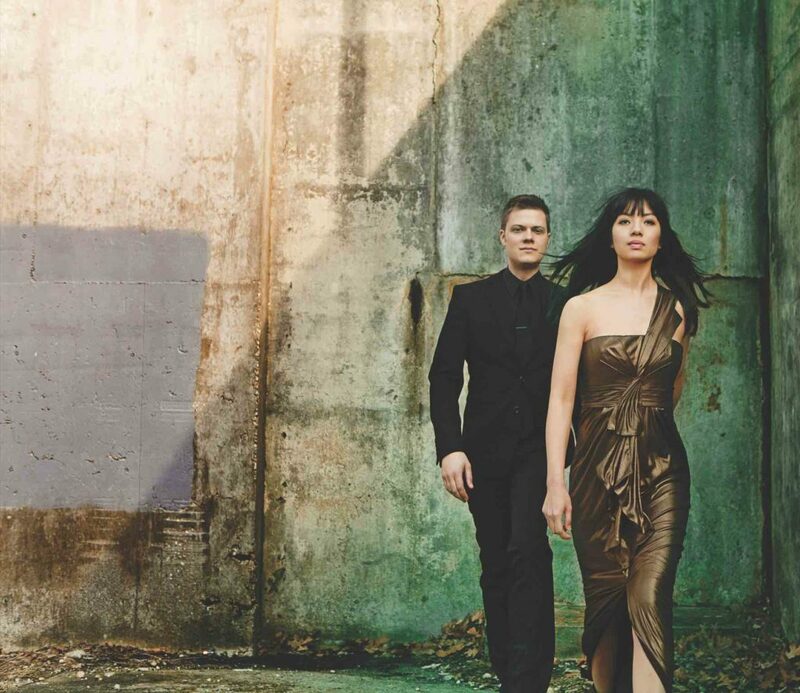 Anderson & Roe Piano Duo, 8 p.m. Friday, April 3, 2020: Known for their adrenalized performances, original compositions, and must-see music videos, Greg Anderson and Elizabeth Joy Roe bring high energy to the piano duo experience. The Miami Herald referred to them as “rock stars of the classical music world.” They performed at Lawrence several years ago. 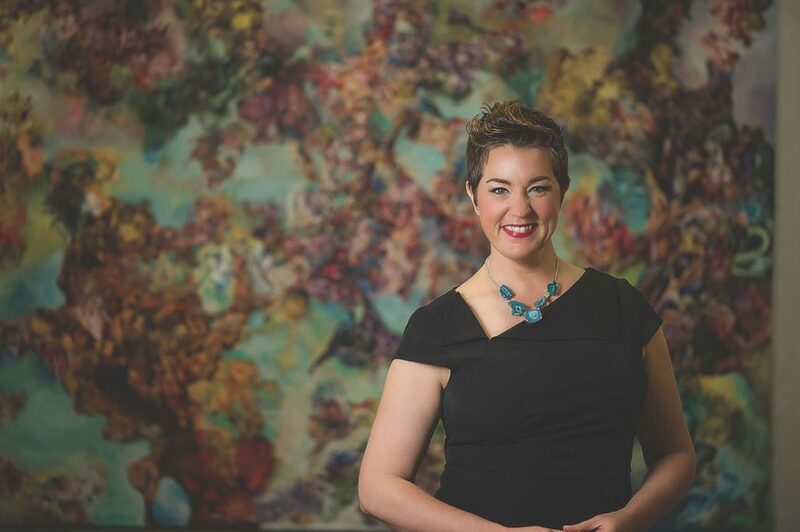 Melody Moore, 8 p.m. Saturday, April 18, 2020: A soprano who has played some of the world’s leading stages, Moore is drawing plenty of notice. Opera News called her “a revelation.” Her resume during the past year has included performances with the Houston Grand Opera and the Los Angeles Opera, and she is set to record a solo album of American music for Pentatone Records. “I am so thrilledto know that my friend and colleague will be visiting Lawrence to present what I know will be a phenomenal recital,” said John Holiday, assistant professor of voice in the Conservatory of Music. “I first met Melody Moore in 2015 at the Glimmerglass Festival, where she made an explosive role debut as Lady Macbeth. We met each other and have been inseparable as buddies. Not only is she the consummate artist, but she is kind, thoughtful, engaging and fiercely talented. 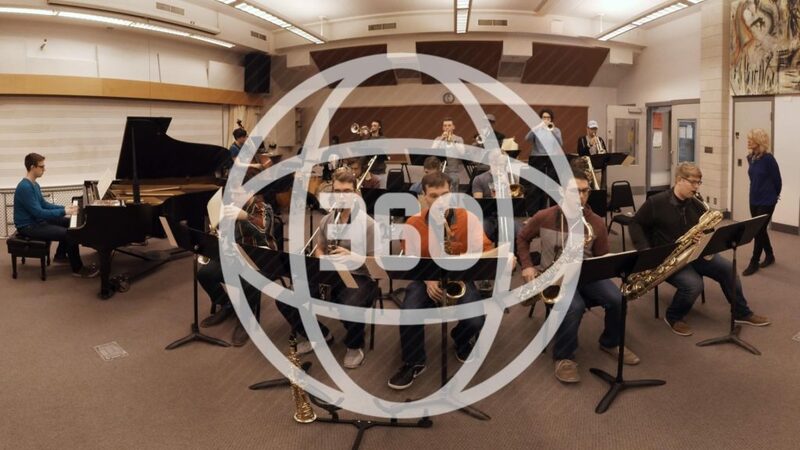 Lawrence University Studio Orchestra, part of Fred Sturm Jazz Celebration Weekend, 7:30 p.m. Friday, Nov. 8, 2019: A special event combining sounds of the Jazz Ensemble and Symphony Orchestra with featured performances by members of the jazz faculty. Works include music by Fred Sturm, Chuck Owen, Duke Ellington, and more. 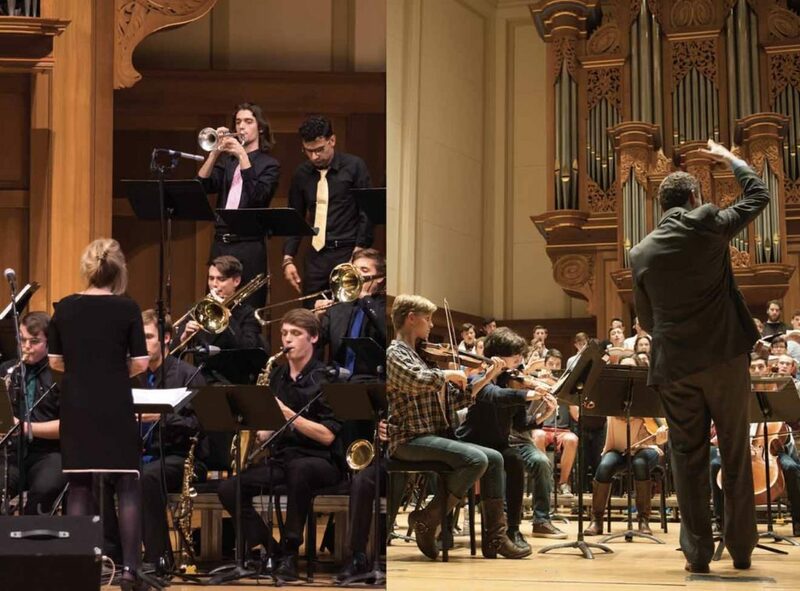 More than 100 performers will showcase music that integrates jazz, improvisation and the beautiful sonorities of the orchestra. Miguel Zenon Quartet, part of Fred Sturm Jazz Celebration Weekend, 7:30 p.m. Saturday, Nov. 9, 2019: Miguel Zenon is a multiple Grammy nominee. He’s considered one of the most groundbreaking and influential saxophonists of his generation. He also has developed a recognized voice as a composer and as a conceptualist, focused on a mix of Latin American folkloric music and jazz. 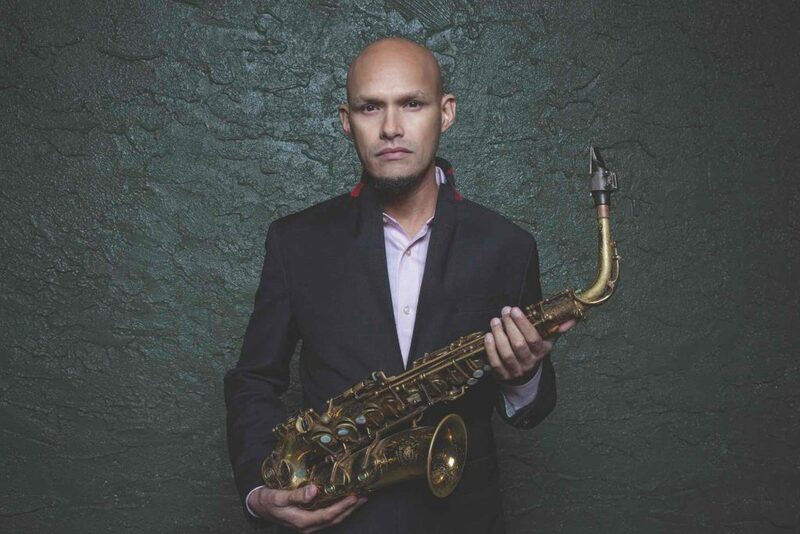 A native of San Juan, he has released 11 albums under his own name while also working with a bevy of jazz innovators. 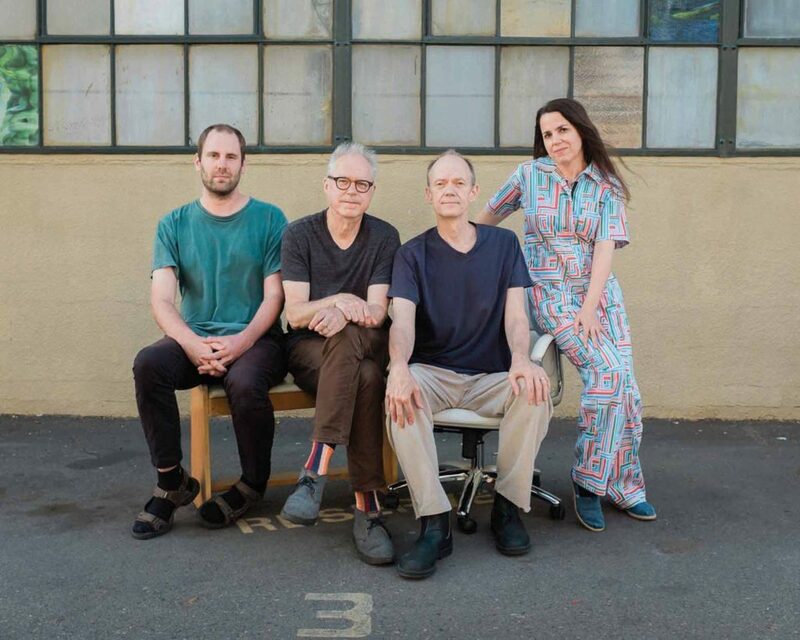 Bill Frisell: Harmony featuring Petra Haden, Hank Roberts, and Luke Bergman, 8 p.m. Friday, Feb. 7, 2020: Frisell has carved out a prolific career as a guitarist, composer, and arranger, showing extraordinary range and depth. His work is rooted in jazz but incorporates elements of blues and other popular American music traditions. The Grammy winner has collaborated with a wide range of musicians, filmmakers, and painters through the years. 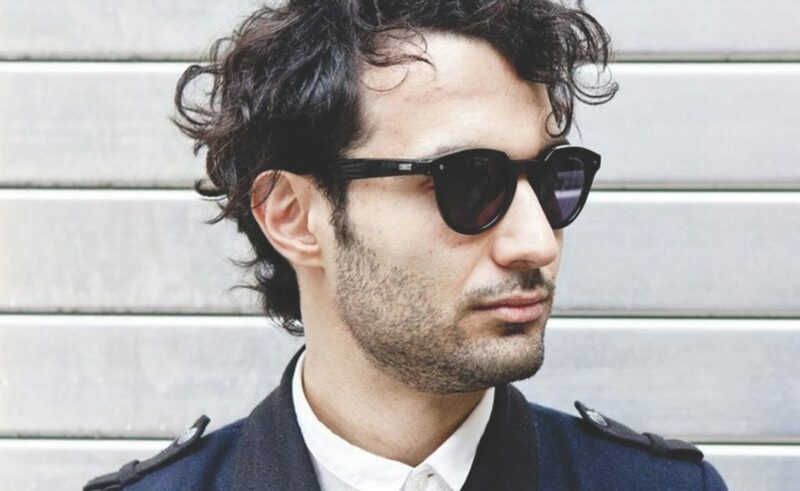 Tigran Hamasyan Trio, 8 p.m. Friday, May 1, 2020: The pianist and composer is called one of the most remarkable and distinctive jazz-meets-rock pianists of his generation. A piano virtuoso with groove power, his most recent recording was 2017’s An Ancient Observer, his eighth release as a sole leader.